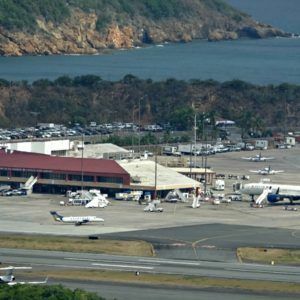 CHARLOTTE AMALIE, St Thomas, USVI - Filiberto Moreno, 50, of Mexico, was arrested today on a complaint charging him with illegal reentry into the United States, United States Attorney Gretchen C.F. Shappert announced. Moreno made his initial appearance before Magistrate Judge Ruth Miller and was detained pending further proceedings. According, to the complaint, Moreno was stopped by US Customs and Border Protection (CBP) officers at the Cyril E. King Airport after he presented himself at Customs primary inspection. Moreno was a ticketed passenger on an American Airlines flight to Miami. During the inspection, it was discovered that Moreno had been previously deported from the United States and that he does not have permission to be here legally. If convicted of illegal reentry, Moreno faces a maximum sentence of two years and a $250,000 fine. The case is being investigated by Homeland Security Investigations (HSI) and U.S. Customs and Border Protection (CBP) and prosecuted by Assistant United States Attorney Sigrid M. Tejo-Sprotte. When has America not been great? Trump and you need to leave the U.S. because you are not the original people either. Can’t stand typical ignorant people like you. By the way, Mexicans work hard for low wages, something you and trump know nothing about. Would rather deal with the Mexicans than the down Island people. Mexicans work hard, take pride in whatever job they do and Dont cause problems in another man's Country. I would hire a Mexican before I hire a down island person. @ US, well if the US would rather have Mexicans than down island people, why are they fighting so hard to keep them out? You can’t have it both ways.